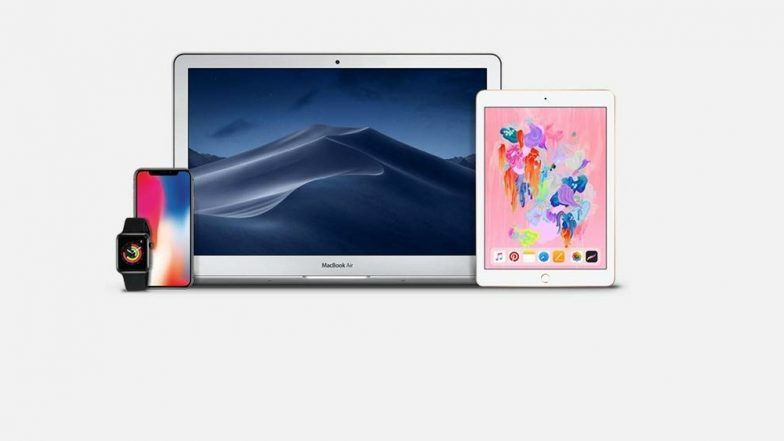 Amazon, a leading e-commerce giant yet again has brought Apple Fest sale which offers huge discounts and lucrative deals on several Apple products. The customers can get discounts on iPhones, iPads, MacBook, Apple Watch and several others. This exciting sale will run for 7 days starting from March 22, 2019. Scheduled to run till March 28, this Apple Fest sale also brings no-cost EMI and bundled payment offers along with discounts. The marketplace has officially collaborated with ICICI Bank & SBI to proffer payment based deals. Here are some of exciting offers and deals that you shouldn't be missing during the sale. New Apple AirPods Gets H1 Chip, Wireless Charging Case, Hey Siri Support & Long Battery Life. Deals on Apple iPhones: As a part of the sale, Amazon is offering big discounts on its popular iPhone models. The iPhone 6s device will be made available with a discount of Rs 2000 bringing down the price to Rs 27,999. The customers can avail Rs 4666 no cost EMI option through HDFC, ICICI and SBI credits and debit cards. The company is also offering iPhone X 64GB variant at a discounted price of Rs 73,999. The no-cost EMI option is also available with monthly installments of Rs 8222. Apple Introduces Refreshed Versions of iMac Line-up With Powerful Processors & Graphics. Deals on iPad & MacBook: Further extending the sale, the company also bring discounts on iPads and MacBooks. The 6th generation iPad attracts attractive discount, bringing down the price to Rs 24,990. On the other hand, MacBook Pro 13-inch will be offered at a price of Rs 1, 04,900. The devices are also available on no-cost EMI options as well as financing schemes from Bajaj Finserve. Deals on Apple Watch: As per the sale, Apple Watch Series 3 will be listed with a massive price cut. It will be priced at Rs 23,990. Moreover, the price for the Apple Beats Solo will be reduced to Rs 18,499 with a discount of Rs 5,300.